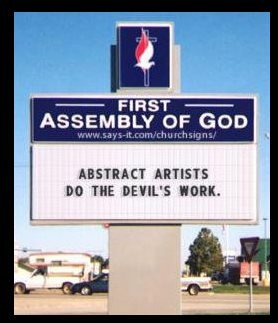 Art began with religion. Only recently in human history have allusions (other than cynical) to spirituality in art become an anathema among intellectuals.here, by artist Altoon Sultan, and another video. At first I wasn’t going to write this post because it seemed too personal. But then I couldn’t justify the difference between reading my poetry to 150 people at the Nuyorican Poets Cafe, as I used to, and putting it on the Web. Anyway, this came up because of the week-long kundalini yoga workshop I just finished at Kripalu, along with another 3-day course just a couple of weeks ago. I love kundalini because it works on energetic alignment as well as physical; when I do it, I feel as if I’m straightening out my brain. In the workshop our teacher showed the TED video by Dr. Jill Bolte Taylor, describing her stroke and the experience of coming close to death (note: it’s inspiring, not depressing, otherwise I wouldn’t share it; I’m not into depressing). I had a similar experience—without the stroke part—and hearing it so aptly described and close to my own, was startling. I’d also never heard right and left brain function defined precisely this way: that the right brain thinks in pictures and is about the collective, while the left brain is linear, wants to name things, and is concerned with establishing an individual sense of self. I used to owe it to my lack of formal higher education—and that could be part of it—but now I also understand that from going to the other side and coming back, where everything is new again, I developed the peculiar ability (which both helps and hinders me) to stand outside a thing or situation and see it without the names or the layers of meaning society has given it. I can still often look at humans and view them as an alien might coming across them for the first time—and believe me, compared to other animals (I think it’s the lack of body hair with the thatch on top), they ‘re completely weird and funky-looking. I also realize now why I’m so ardent about letting art speak for itself, about allowing for the possibility of emotional response rather than always having to define it or give information that makes it seem rational. This is why I rail against the museum wall texts and idiotic artist’s statements that become the lenses through which art is viewed. Art, like music, is a language without words, and the way it invokes sensation is mysterious and inscrutable. I’ve chosen to be an abstract artist because it’s an investigation into making something that’s essentially unknowable, where the possibilities of interpretation are boundless. But then I’m also a writer, which gives the lie to it all, as I go about creating defined situations in order to promote undefined ones. Life is a paradox. And I’m not married anymore. Carol Diehl, Alexandra, 2011, pastel and pencil on board, 9' x 12". When this image went around on Facebook a while ago, it annoyed me; unattributed as it was (you know how I feel about that! ), I guessed (no doubt correctly) that it was created by an artist using PhotoShop to mine the cultural divide. However a friend, who works at the Berkshire Museum, recently sent me a link to an online publication, The Curator, and the essay, “On the validity of the Vogel collection” by one Sarina Higginswho declares: “I do believe that the Vogel collection is a fraud.” Higgins supports her thesis with shadowy photos of “a few geometrical lines drawn on paper with colored pencils, a triangle of steel in the corner of the baseboards, a series of pieces of notebook paper with a few drops of watercolor paint” taken with a point-and-shoot camera. On its “About” page, The Curator denies being a religious publication (which means it is, or there would be no reason to deny it). Instead, like its parent organization, IAM (International Arts Movement), the publication says it’s geared toward “people of faith” with a desire to create “the world as it ought to be”—a world that clearly does not include the Vogel collection, Marina Abramovic or, by extension, most modern art from Malevich on. I said no, and it was the truth. I had never known them to go to a concert, though they were in favor of concerts in general. “See? They’ve got too much sense, your parents. Too much sense to join all these people who are fussing and clapping and carrying on, like it’s just the wonder of the world. You know the kind of people I mean? They’re lying. A load of horse manure. All in the hope of appearing high class. Or more likely, giving in to their wives’ hope to appear high class. Remember that when you get out into the world, O.K.? It all makes me think that the differences between Democrats and Republicans, liberals and conservatives, may be more than political, even a matter of neurology, as some have suggested. Or it could simply be that there are people who thrive on nuance, ambiguity, complexity and paradox, while others are fearful of anything, including art (and possibly democracy), which poses questions to which there are no concrete answers.